R.J. Rushdoony: 00:00 What is the purpose of taxation? This is R.J. Rushdoony with a report on our threatened freedom. Most of us, while we may complain about taxes, rarely doubt the purpose of taxes. Most people will say that we have to be taxed in order to support the various branches of civil government. This is what we were taught in school. R.J. Rushdoony: 00:26 Like some other things we were taught, it is wrong. It may have been true at one time, but it is increasingly otherwise. L.L. Fuller in his Storrs Lectures on Jurisprudence at Yale Law School, published in 1964, noted that even then the purpose of taxation had shifted. Taxes had become a means of social control. They are used to control business and the business cycle, the allocation of economic resources is governed by taxation. Women are taxed by means of a high tax on all cosmetics so that a substantial amount of the price women pay to enhance their appearance is a tax on a woman’s desire to be beautiful. Taxes are used to identify professional gamblers and to make people pay for the use of alcohol. Travel is discouraged by high taxes on every kind of transportation, from the gas pump to the cost of an automobile and a plane ticket. R.J. Rushdoony: 01:34 Taxes are also imposed for no other reason than to increase the power of the federal government. We are taxed because we are alive and we are taxed when we die. As I warned my wife recently, neither of us can afford to die right now. This is not all Professor Fuller says of the taxpayer, “And may he not ask himself what, after all, is the difference between a tax and a fine. His mood of quiet desperation is not likely to be improved if he is unfortunate enough to learn that a famous justice of the Supreme Court of the United States used to insist that there is no difference.” In other words, we are being fined for being alive. R.J. Rushdoony: 02:28 In brief, the purpose of taxation is increasingly to limit self determination. Taxes work deliberately to limit your freedom. Taxes which began as a means of supporting the government are being used to limit our freedom and our self support. We are justified in saying that if there is no difference between a tax and a fine, then taxation has become immoral. We are therefore taxing because of this view of taxation the good citizen or heavily the poor or bad citizen. We are fining success as much or more than we fine criminality. R.J. Rushdoony: 03:12 Is it any wonder that people are bitter and cynical about politics and politicians? Most Americans love their country and would like to be proud of it once again, not disgusted nor ashamed. But what else could be expected when we are more tender to our enemies than we are to our own people? All too often, it seems as though our federal government has declared war against us, the people. Taxation is its nuclear weapon to blast us with. How long can freedom survive in such a situation? 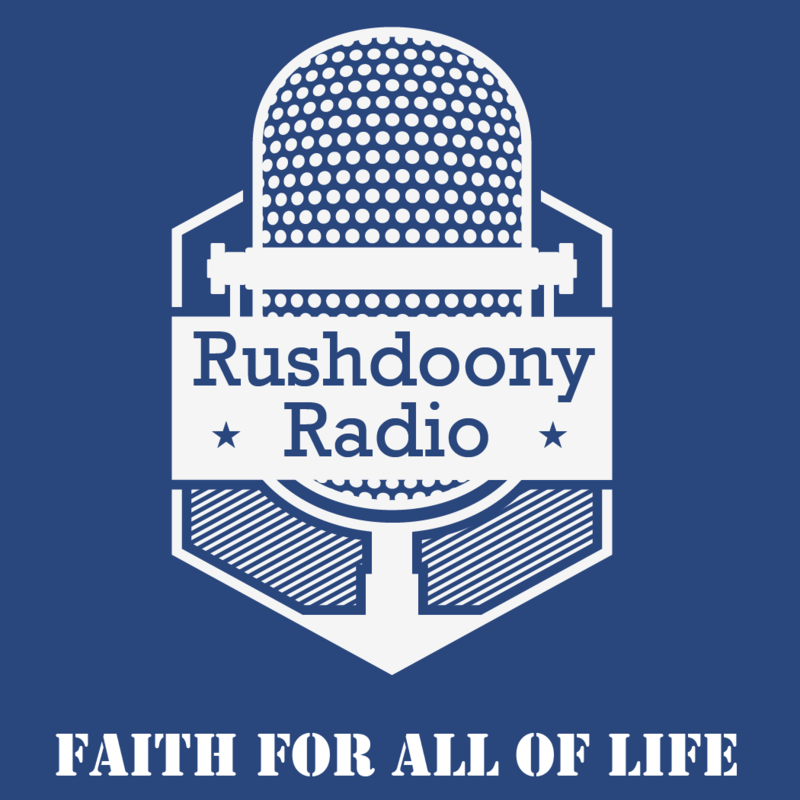 R.J. Rushdoony: 03:50 This is R.J. Rushdoony with a report on our threatened freedom.